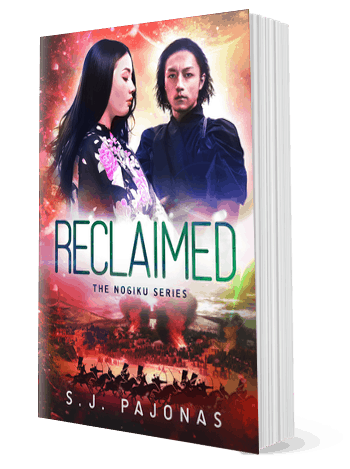 In the fourth book of the Nogiku Series, the freedom of Yūsei is in the hands of one woman determined to find equality and justice for everyone on the planet. 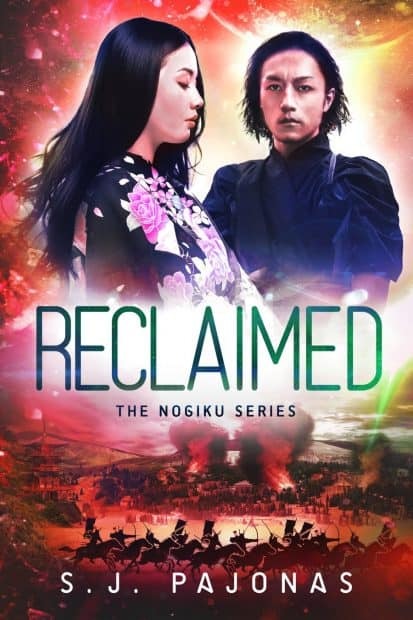 Reclaimed is the fourth installment in the Nogiku Series, a saga of post-apocalyptic sci-fi novels set in future Japan. “Watch me,” Arata instructs, taking the bow from my hands and grabbing an arrow from a pile at our feet. “Left hand on the grip. Right hand clutches the arrow in the bowstring. Arrow rests on the right side of the bowstring, on the outside.” He holds the bow and arrow at arm’s length in front of him, the target off in the distance to his left side. “Bring the bow up high, making sure you have torque on the bow and the arrow, pull back and bring down to eye level at the same time.” He aims out along the length of the arrow, holding for just a moment before releasing. In a blink, the arrow lands on the target.